You are hypersensitive to others, to animals, to plants, to stressful environments … Welcome to the big family of Empaths! Empathy is the ability of all human beings (or almost) to feel the emotions of others. For us Empaths, this capacity is increased tenfold, to the point that we feel the emotions of others as if we lived them ourselves. If you recognize yourself in the points below, you are most definitely an Empath. You are not alone, and no, you are not crazy at all! Some Empaths even describe a hypersensitivity to plants! Real emotional sponge, the Empath takes all the emotions of others, especially the negative emotions: stress, sadness, malaise. Spending an hour with some people very depressed or very negative (even if we love them very hard) can be a real ordeal, which leaves us completely emptied. It sometimes comes to avoid these people to preserve themselves. Moreover, the Empath often has the impression to very well succeed in identifying people, from the first meeting. Unfortunately, because of his dedication, he also tends to fall under the influence of toxic people or narcissistic perverts. He has the impression of being trapped between two extremes: he must help save the world, but at the same time the Empath suffers horribly from human cruelty. The Empath also has a hard time coping with animal suffering, be it deliberate cruelty to animals, or simply the pain they experience when they are sick or at the end of life. The entourage usually has trouble understanding this sensitivity that passes for the insanity while they are “only animals”. Because of his hypersensitivity to the emotions of others, the Empath can not stand any form of violence, be it physical or moral. This is why he often chooses professions related to personal assistance: professions in the medical field, in the field of justice, with people with disabilities, etc. Some Empaths also find relief in working with children or animals because, even if it is very hard, they feel to work with pure beings. Hypersensitivity to violence makes it very difficult for the Empath to watch the News, or violent films like horror movies. Because of his hypersensitivity to the pain of others, the Empath refuses to harm others. When irretrievably he realizes that he has hurt someone, he is terribly remorseful and guilty. The Empath will have trouble consuming pollutants, tested on animals, made by children or exploited workers, etc. He tries to be informed and to be a responsible consumer. He prefers to buy, when he has the means, Bios, Fair Trade, Vegetarian or Vegan products. He likes to recycle, repair what is broken or damaged, rather than always buying new. In addition to “feeling” people, Empaths also perceive the vibrations of places. This can often be nice, for example when looking for a new apartment or when you go to someone’s home and feel immediately good. Unfortunately, it’s the same for other less pleasant places … The Empath will immediately feel entering someone’s home if the atmosphere is harmful: feelings of “cold in the back”, chills, impression that there are “presences”, nausea, are so many things that he can feel in a place. It is also very difficult for Empaths to go to places that are home to a lot of people in pain. These include hospitals, nursing homes and retirement homes, as well as athenaeans, crematoriums. These places immediately trigger a feeling of depression, depressed, sometimes to the point of physical pain, simply passing the door. As he absorbs the emotions of others, the Empath is quickly emptied after visiting a busy place. For example, this feeling is found after going shopping at the supermarket or after shopping (especially during peak hours), when we spent time in traffic jams (because people in their cars are particularly frustrated and angry), etc. This sensation can also be found in activities that are supposed to be enjoyable, such as a movie or show party, a day at the amusement park or fair, a dinner in a restaurant that has sold out, etc. When I discovered my empathy and did not know how to protect myself, I often had to change tables in a café because I felt strong nausea in the vicinity of people whose energy was toxic. I was both embarrassed by this feeling, and very sad for the person who bore such an energy burden on her! For evenings with friends or family reunions, Empath has trouble with large assemblies. The ideal for him is to be at the maximum three or four. On the one hand, the big groups are exhausting. But above all, it is difficult for the Empath to open to others in front of many people. An intimate atmosphere is often preferred for more authentic exchanges. 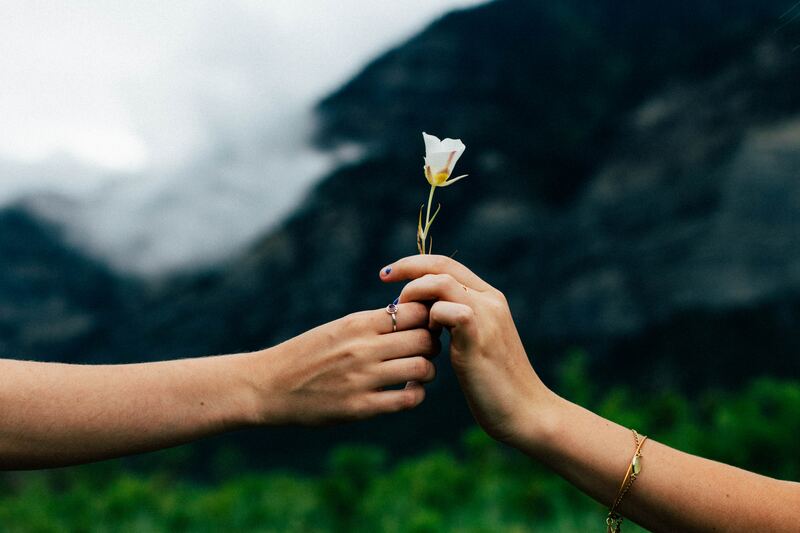 Talking about friends, Empaths often find it difficult to build balanced relationships. As he feels the emotions of others, he finds himself very easily in the position of the listener or confidant. We empty his bag and we talk to him about his problems, and we feel so relieved after we forget to ask him how he’s doing! Moreover, it is so common that the Empath shows that strangers often tell their lives, even very personal details, after a few minutes. This can be perceived as an opportunity or a burden depending on the people. But at the level of his friendly or amorous relations, the Empaths often complains of a lack of reciprocity and often feels “used”. Even when his gift of empathy is pretty much under control and he gets to have healthy relationships with his loved ones, the Hypersensitive still needs moments of loneliness. He may spend several days without giving any news, without leaving his house (whenever possible). He says that it is for him the indispensable means of “recharging oneself”, of “recharging the batteries”, of “finding oneself”. The entourage of the Empaths has troubles understanding how he can sometimes be very generous, very present, very attentive, and transform a few days later into a true hermit! 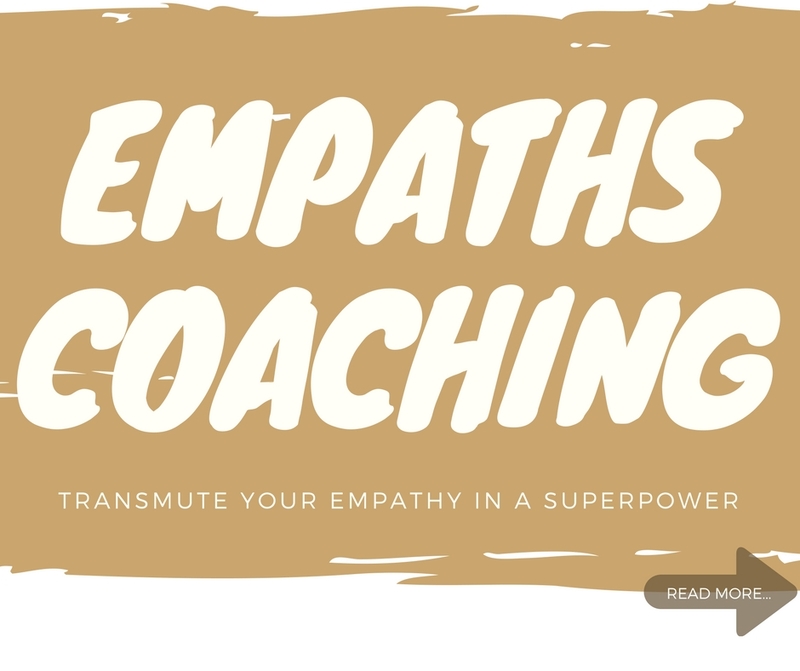 In general, Empaths are not fundamentally pessimistic or negative, but by absorbing the energy of others, they can become so! This accumulation depresses them, and they fail to realize that these emotions do not belong to them. Days that might seem quite normal exhaust them for no apparent reason. If they do not learn to protect and clean themselves from harmful influences, empaths can quickly become burned or depressed. The use of drugs, alcohol or addictive behaviors is often used to compensate for feelings of fatigue or psychic pain. The accumulation of toxic energies also causes some Empaths pain that doctors can not explain … and especially to cure! Many Empaths suffer from backache, muscle aches (without exercising), fibromyalgia, abdominal pain, etc. Taking anti-pain is usually not enough, and besides, the Empaths prefer to avoid taking too much “useless” medicine to avoid unnecessary exposure to chemicals. Again, learning how to protect oneself, how to clean oneself, alone or with the help of an energetic therapist is absolutely vital. Having often experienced paranormal experiences, Empaths will be interested in the world of metaphysics or spirituality to understand the complex world around them. Whether believers or not, they intuitively understand that there are inexplicable things that go beyond us. They like to pray, or ask the universe or God for signs, answers. Empaths will often turn to holistic therapies to relieve themselves of their sensitivity to energies. They resort to natural herbal remedies, protect themselves with crystals. They have a strong affinity with all methods of energetic care, such as Magnetism, Reiki, etc. The combination of these different care techniques often brings them so much comfort that they can consider converting to it and doing their job. As it is difficult for an Empath to express his emotions and talk to his friends, he must develop techniques to succeed in “emptying his bag”. This may be one of the reasons why empathic and hypersensitive people turn to creativity. They often have talents for art and crafts. These are true therapies that also allow the emptying of energies poured out by others. A friend once described to me her relief after a sculpture class where she practiced clay modeling: she had the impression of having unloaded all her worries and all the toxic energies in the block of earth! It was a huge satisfaction for her to get rid of those “things” that hurt her, and to make something beautiful. So, do you recognize yourself in this portrait of Empaths? Do you feel that your Empathy is a gift, or on the contrary an everyday enemy? Tell me your story in the comments below! Yes being an empath is good, and even better when you know how to protect yourself at à physique level. The absorption of energy by this natural willingness to be good to others disturbs the calmness of the empath. Nina, will you be so kind to give some rules or tips for that.